Burbank, CA, September 18, 2015 – The Griswolds embark on an ill-fated adventure when New Line Cinema’s “Vacation” arrives onto Blu-ray Combo Pack, DVD and Digital HD. Starring Ed Helms (“The Hangover” films) and Christina Applegate (the “Anchorman” films), “Vacation” marks Jonathan Goldstein & John Francis Daley’s directorial debut. 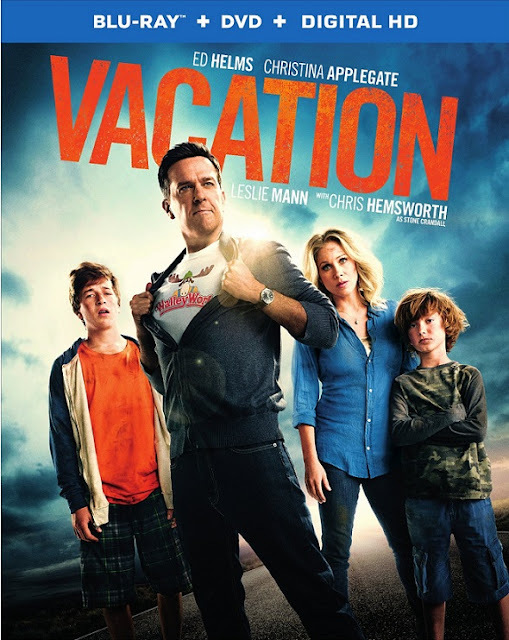 “Vacation” will be available on Blu-ray Combo Pack and DVD from Warner Bros. Home Entertainment on November 3. The film will also be available early on Digital HD on October 13. “Vacation” also stars Skyler Gisondo (“Night at the Museum: Secret of the Tomb,” “Hard Sell”) and Steele Stebbins (“A Haunted House 2”) as Rusty’s sons, James and Kevin; with Chris Hemsworth (the “Thor” films) in the role of Stone Crandall, Rusty’s irritatingly successful brother-in-law; Leslie Mann (“The Other Woman”) as Stone’s wife, Rusty’s sister, Audrey; and Beverly D’Angelo and Chevy Chase as Ellen and Clark Griswold from the classic “National Lampoon’s Vacation” franchise. Goldstein & Daley wrote the script based on characters created by John Hughes. David Dobkin and Chris Bender produced the film alongside executive producers Marc S. Fischer, Jeff Kleeman, Toby Emmerich, Richard Brener, Samuel J. Brown and Dave Neustadter. “Vacation” will be available on November 3 for $35.99 on Blu-ray Combo Pack, and includes the film in high definition on Blu-ray disc, a DVD, and a digital version of the movie in Digital HD with UltraViolet*. 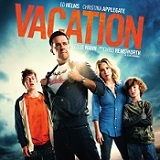 Fans can also own “Vacation” via purchase from digital retailers beginning on October 13. In addition, a remastered “National Lampoon’s Christmas Vacation,” the perennial yuletide favorite, will be released on Blu-ray Combo Pack on December 1. Presented in steel book packaging, the film will be available for $19.98.